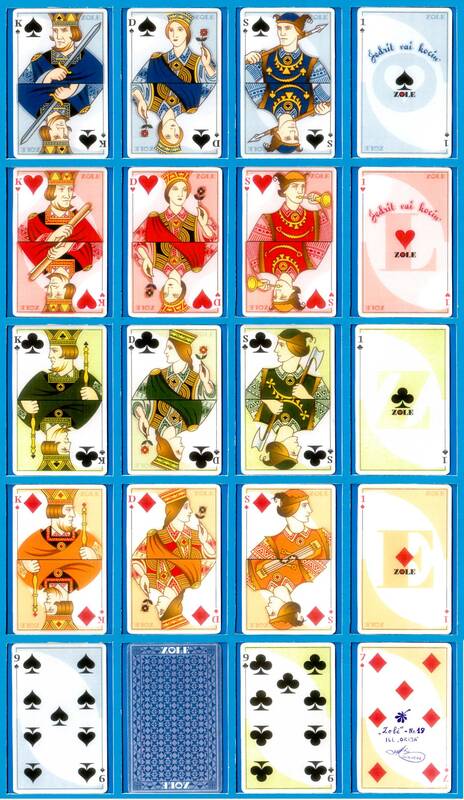 Arturs Duburs playing card designs used to advertise Zole Vodka but which were never published, 2000. The playing cards originally designed by Arturs Duburs in 1941 were chosen to be reissued as an advertising pack for Zole Vodka, produced by Latvijas Vīni (Latvian Wines) in 2000. However, the project was abandoned at the last minute and the cards were never issued. 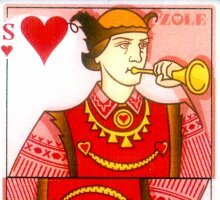 Above: Arturs Duburs playing card designs used to advertise Zole Vodka but which were never published. Images courtesy Albinas Borisevičius.